"All the stones of Camelot are something different now, and the flesh of all Camelot's inhabitants has been devoured, excreted and reembodied a thousand times over-but Excalibur is still Excalibur, and always will be. That's why I want to hold on to it." 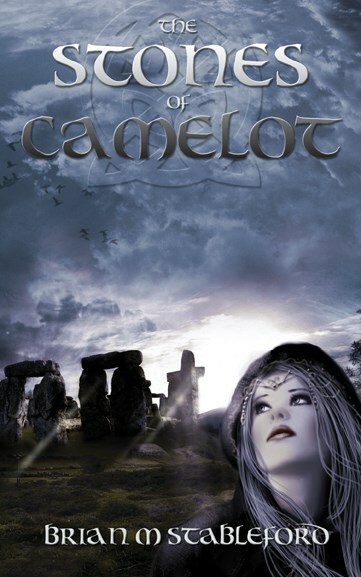 The Stones of Camelot tells the story of Amory, a boy who was once taken into Faerie as a changeling, but then returned. While being cared for and educated by the Sisters of Saint Syncletica, Amory becomes preoccupied with the mystery of his origin, wanting to know why Faerie rejected him. When Amory travels with the wizard Merlin to Camelot, he is determined to find out what he want to know. Morgana Le Fay helps him to do that, at a price, but in so doing, causes the fall of King Arthur's fragile kingdom. Amory escapes into Faerie with Morgana, where he sets out to penetrate a secret that even Merlin dared not uncover: the mystery of the Dark Land, which lies within Faerie just as Faerie lies within the human world. Brian M. Stableford has been a professional writer since 1965. He has published more than 60 science fiction and fantasy novels, as well as several authoritative non-fiction books. He is also translating the works of Paul Féval and other French writers of the fantastique for Black Coat Press which also published his most two recent fantasy novels: The New Faust at the Tragicomique and The Wayward Muse. The Stones of Camelot originated as a novelette entitled "The Architect of Worlds" published by DAW Books in 1998. It is an exotic metaphysical fantasy in the tradition of Roger Zelazny Amber series and Susanna Clarke's Jonathan Strange & Mr. Norrell.